NextGalway Man fished 32 hundred miles run across USA last Sunday! 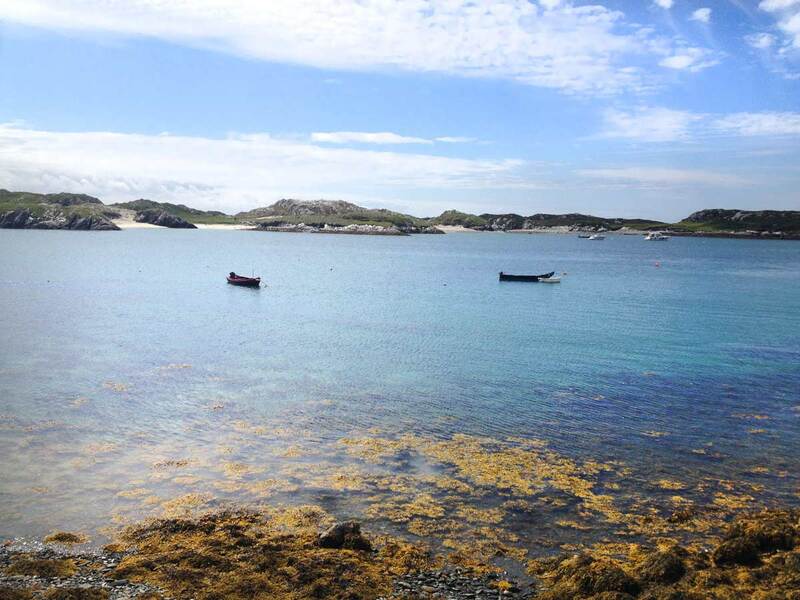 With its sandy beaches, coves and crystal blue waters set amidst a rugged west of Ireland landscape, the isle of Inishbofin is worth the rolling forty-minute journey by boat from Cleggan harbour. 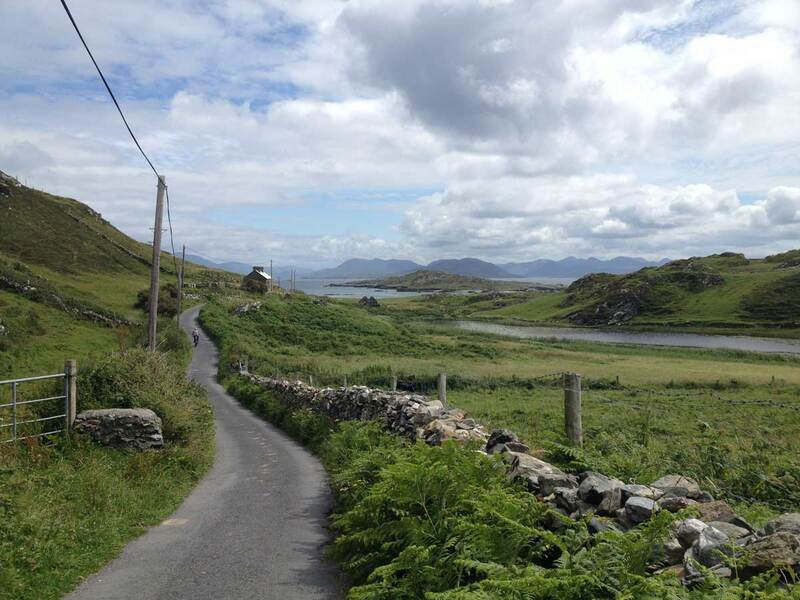 Once I boarded the ferry, I realised the true meaning of the ‘wild Atlantic way’. And yet as the calm of the harbour thankfully approaches, the most charming, untouched landscape rolls into view, set behind an old Cromwellian stone fortress. 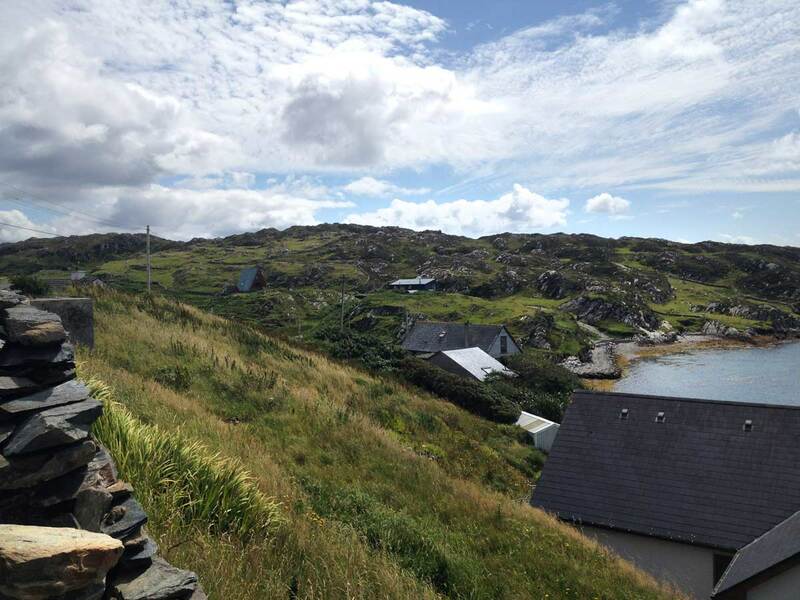 Inishbofin is an island haven, without the clatter of too many tourists, who have all headed for Inis Mór. “It’s beautiful,” we gasped, as this gang of four friends meandered along the paths set out before us. The pale pallor caused by the rocky trip soon gave way to flushed, sun kissed cheeks, as we found a little slice of paradise on the only sunny day in July. Mad for handmade trinkets and mementos on an adventure like this, I have an excellent inner beacon, an inner lighthouse if you will, which guides me to the nearest craft shop. It happens every time I am away. Only a short hop and a skip away from the harbour, we found the Shepard’s Hut Craft Shop, housing the work of local artist, designer and maker Lorraine, known as Lol, McClean. Lol is an island dweller, following in the footsteps of her mother, who was born on the neighbouring island of Inishturk. Raised in the UK, Lol returned to Inishbofin to work in Days’ hotel as a teenager, and returned once again in 2002. It wasn’t long before she answered the call of the creative life full time, establishing a craft studio inspired by her island home in 2011. Her artwork reflects her surroundings, as she is known for her unique authentic, hand pressed seaweed prints and ceramics. 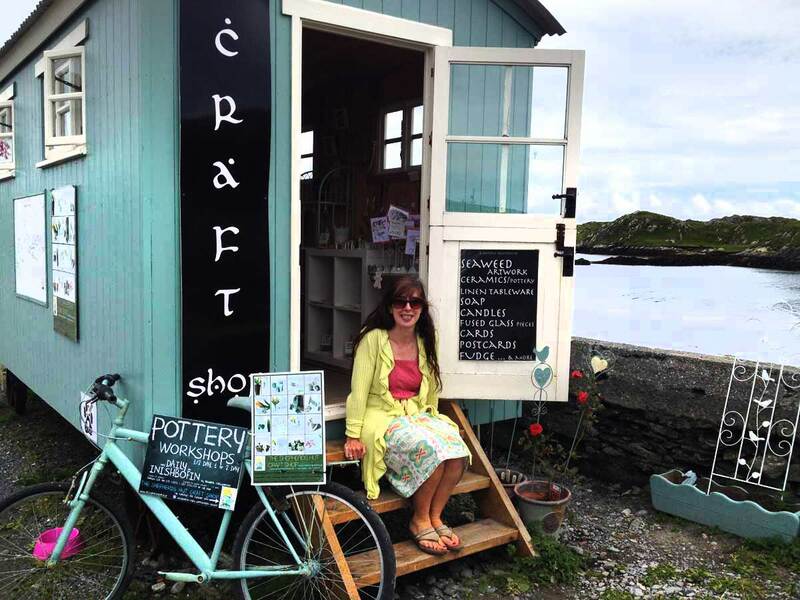 She also teaches pottery workshops over the summer months, and gave us an insight into living on the island all year round. “You came here on a very nice day!” she jokes as we ‘ooo’ and ‘ahh’ over the panoramic views. Unexpectedly, I uncover some of the islands darker history when I ask about the crumbling stone fortress at the mouth of the harbour. 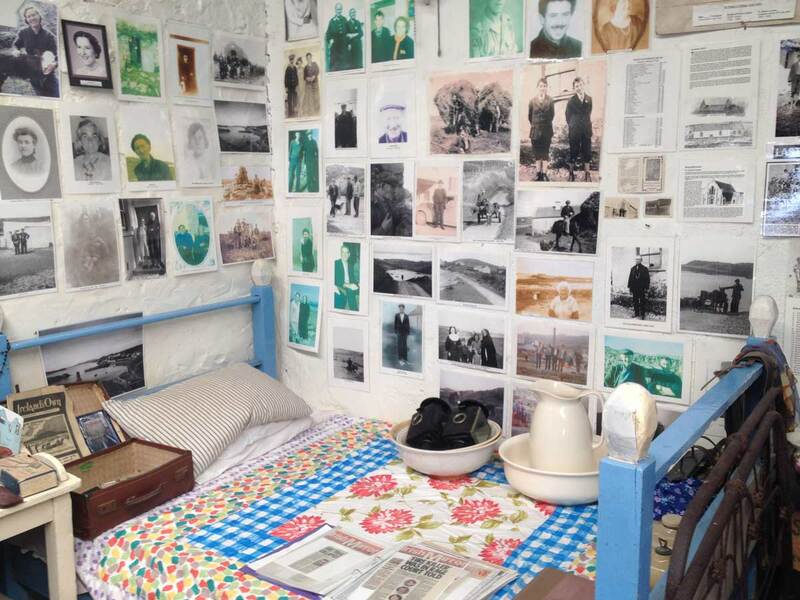 The Inishbofin Heritage Museum, set up by islander Marie Coyne in ‘the store’ at the old pier in 1998. 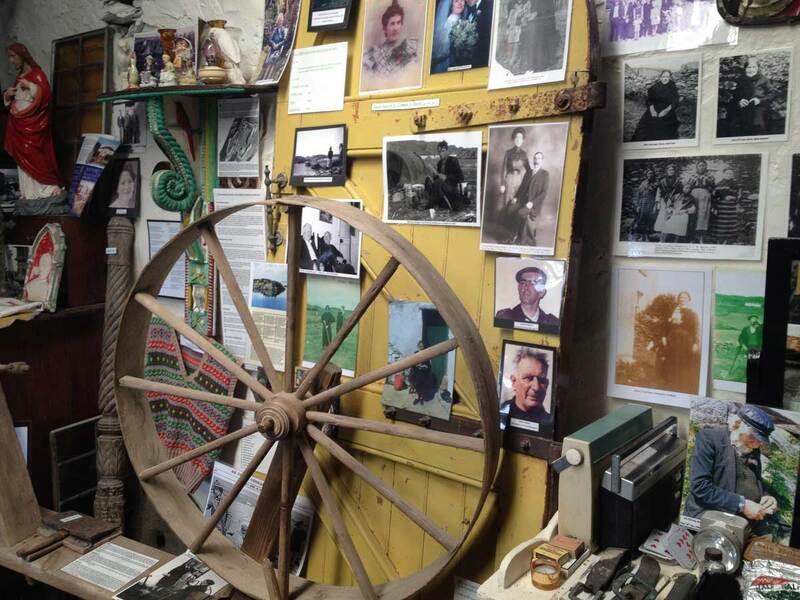 The heritage of the island won’t be lost thanks to the Inishbofin Heritage Museum, set up by islander Marie Coyne in ‘the store’ at the old pier in 1998. Like the rest of the island, it oozes with nostalgic charm, housing the contents of traditional island homes, fishing, farming and trades-people’s tools, along with over 200 photographs of local inhabitants. Marie established the museum without funding. She keeps it running using the proceeds from the sale of her arts and crafts at the front of the premises. 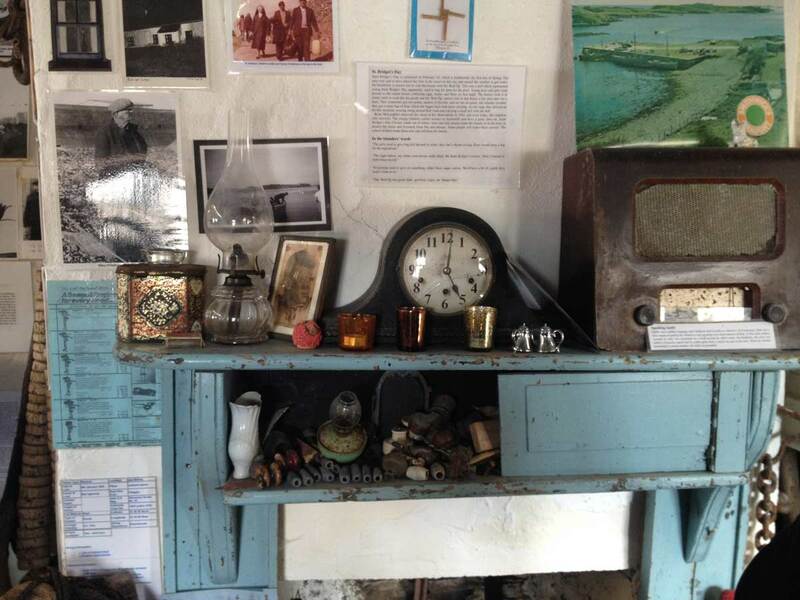 Islander Marie Coyne – In ‘the store’ at the old pier since 1998 – The Inishbofin Heritage Museum. The storm of winter 2014 “caused a lot of damage” says Marie, and thanks to the museum displays, it will not be forgotten. While there is “still a few bits that need to be done” work is progressing to protect the island for future generations. Galway Man fished 32 hundred miles run across USA last Sunday!